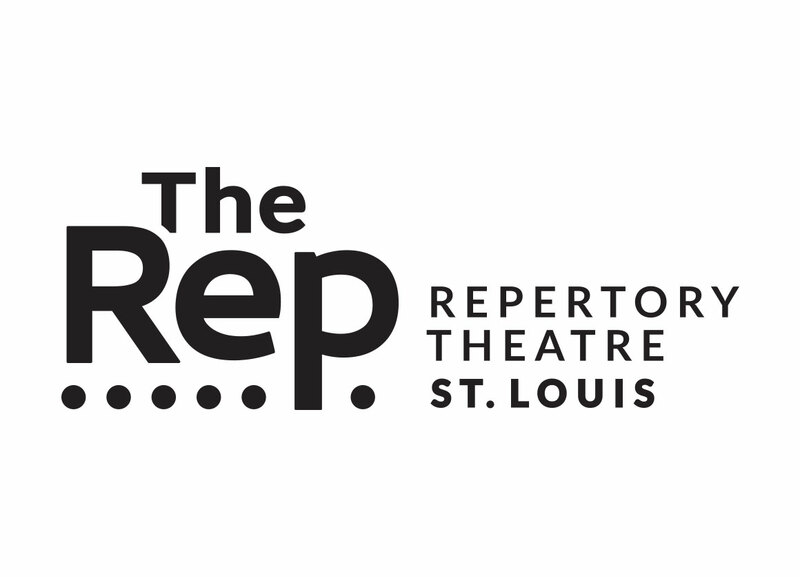 Shockwaves were felt in the St. Louis theatre community when Judy Newmark broke the news that Steve Woolf announced his retirement from the position of Artistic Director for The Repertory Theatre of St. Louis. In two years, Woolf will vacate his post, prompting The Rep to take a new direction. As a theatergoer and a theatre reviewer, I have always admired Woolf and his artistic vision. Clearly, The Rep’s brand is excellence and Woolf has been the famed institution’s guiding hand for the last thirty years. When I was granted an audience with the legendary director, I made full use of the opportunity. We chatted about his history, The Rep’s current season, and Woolf’s words of wisdom for his successor. Jim Ryan: What drew you to a life in the theater? Steve Woolf: Oh God. I have to go back so many years. I fell in love with it as a kid. This is going to sound so sappy. I watched a production come together of The Fantasticks when I was growing up and I remember them tossing all these pieces of colored tissue paper into the air and I thought, “Isn’t that miraculous?” There is something about being in a room with lots of other people that has the ability to transform or to communicate or to enhance the world. From the time I was a kid, I thought that was pretty special. Did you ever try your hand at acting? No. Just no. I’m terrible at it. So you’ve always been behind the scenes? Yeah, yeah, forever. When I was in school, everyone took acting classes and I was just bad at it. The issue is that actors need to focus on their character and how that character and whatever they’re doing fits into the whole of the play. I’m interested in the whole of the play. So in acting, I was always interested in everything else besides my character. And I thought, “This is not going to turn out well.” I wasn’t drawn to it. I was drawn to directing and then producing. I was drawn to putting pieces together, bringing teams together. Could I be involved in the engineering of creating worlds for the actors to work in? Acting wasn’t for me. I understand actors, I love actors, but acting for me? No, just no. How did you arrive at The Rep? Ha! Oh, my! Well, I was working in the theatre in Massachusetts. One of the directors there worked here and said: “I think you should come to St. Louis.” It was kind of like that. And I interviewed for a gig here and that’s how I got here. The work I was doing in Massachusetts was actually getting predictable. I never thought I would be back in the Midwest. I thought I would be here a couple years and do something else. Now three-plus decades and I’m still here. So it’s just something like one small comment that changes your mind and St. Louis forever. What is the process by which you choose your productions? Well, it’s certainly not scientific, I’ll tell you that. Some of it is when something strikes me, either in the dramatic literature or reading. Or if a play comes along and I think we should be sharing that with our audience. You know I pay attention to what’s going on in New York and what’s going on in London and what’s going on in the theaters around the country and out of that, it all starts to knit itself together. I can’t do three twenty-character plays back-to-back because we can’t support that. Some of that is how you weigh out a season. You know, if you want to go back to [Stephen Sondheim’s] Follies, that was a project I’ve wanted to do all my life. I have been talking about it, working on it for a couple of years before. We had to ask if we’d be able to afford to do it and if we want to make a centerpiece of it, and I thought that we should open the 50th season with that show. It was a big show about theatre and relationships and I thought that was great. Ultimately, there is a low level of alchemy about it all. If money were no object what production would you choose to do? Well, we just did Follies. Follies was the long, long term goal. We’re doing Hamlet this year, which is another show I have always wanted to do. If money were no object, there is this piece I’d love to do called Here Lies Love which is about Imelda Marcos. The music is done by David Byrne and Fatboy Slim. It really interests me and I saw it in both New York and London. It’s this big complicated installation with lots of video and lots of audio. We’d have to spend a lot of money to find a space to do it and a lot of money to produce that. I’m sure there’s something else out there, but that one keeps coming back to me. During your time at the Rep, what would be some of your greatest accomplishments? For me personally, it is making sure that the quality of the work we do on all our stages and with all our personnel is superior as possible. That is what drives us. How we tell the stories in meaningful ways. That drives me—making sure we are clear, making sure we are interesting. And how we utilize the art form we have, in this physical space we have. The first show of your current season is The Curious Incident of the Dog in the Night-Time. There’s definitely a buzz in Saint Louis about the show. Do you think that is because there is a large community of autistic children in St. Louis? Well, isn’t that interesting? I honestly don’t know. There are a lot of people that have read the book this play is based on. And in some schools, I think it’s actually curricular. So our student matinees are already sold out, which is interesting. But there is high interest because of Mark Haddon’s book and there’s a lot of people that saw the show on Broadway or in London. It’s just a remarkable piece. And the other thing is we can’t replicate those productions. If anybody has seen the commercial productions, then this will look very different. What we’re doing, I think, gets to the heart of the story in a more profound way. It’s terrifically moving. Next, you are doing Hamlet. What are the high points you are looking to in that production? Oh! You know, just seeing the King’s ghost. I think people forget all of these important pieces of vocabulary and lines that [have become] sort of common. Everybody knows “To be or not to be.” But do they remember the other lines? It’s a remarkable piece of writing from over four hundred years ago. Just [plumbing] the depths of the human soul. And, of course, there is a political element to the play. I mean, the issue is about the stability of the court. It’s just such a smart piece. Paul Mason Barnes is directing this and he is a brilliant Shakespearean director. You know it’s such a great piece of literature that it stood the test of centuries. Miss Bennet: Christmas at Pemberley is the sequel to Pride and Prejudice. Will somebody that’s not familiar with Jane Austen be able to appreciate the production? Oh yes. It’s just a great love story set at the holiday time. Lauren Gunderson who wrote it also wrote a play we did in the Studio called I And You. It’s just this sweet story, “We have to get Miss Bennet married.” It’s all the Jane Austen characters showing up on the holidays working on Miss Bennet. There are Jane Austen clubs all over town who will adore it. It’s just simply a lovely piece. The Marvelous Wonderettes is up next. Is this by definition a jukebox musical? I just I’m not a fan of that term. The big surprise is that show has never been done in St. Louis. I’ve known about it for years. I first saw it New York like four or five years ago. It was just grand fun. You know to see these gals singing the hits of the 1950s, so the playlist is great. The second act is their ten-year reunion and the music has changed significantly. So we’re rocking out a little more in the second act. I thought it would be a great show to do in January in the midst of winter. The next production (which everybody is talking about) is The Humans. Well, the story is so cleverly structured. It’s about a family gathering at Thanksgiving. It reaches into families totally recognizable for most people. You’ve all had the same Thanksgiving dinner where it sort of goes well for a while, then goes bad for a while, then it goes medium for a while, then goes where family secrets are revealed. There are some mysterious goings on in this apartment building the family has moved into. It’s a kind of personal story that speaks truth. It’s quite a great piece of writing. You are closing out the main stage with Born Yesterday, which is a political story at heart. Has it ever been done in St. Louis before? Oh yeah, we did it many years ago. I started looking at the shape of the season and thought I wanted an American comedy—they’re really hard to find I gotta tell ya, they really are. And then I thought, “Oh man, Born Yesterday—how perfect.” The story is about this industrialist coming to Washington to spend money to influence senators. His girlfriend Billie Dawn learns about the American democracy. It’s funny and poignant. It’s set in 1948—we couldn’t move the date, we couldn’t modernize it, it has to stay in ’48. But the story is going to resonate with no question. It fits today’s odd times and in pretty interesting ways. Let’s move on to the more intimate Studio series. Heisenberg is about random life events that basically cause two worlds to collide. It’s a beautiful play—unpredictable. It’s a random relationship between a young woman who’s in her forties and a seventy-five year old man who meet by chance and strike up a bond and a relationship which is unique. It’s about the unpredictability of relationships. It’s a sweet, sweet romance and it’s quite lovely. And then you take another chance with a play called Faceless. It is a courtroom drama based on a true story. This teenage girl is enamored of ISIS. She falls in love with somebody she meets on the internet who is an ISIS programmer. Because of things she has written, she ends up in court. The prosecuting attorney is a Muslim, so there is this great discussion between the two of them about the meaning of the religion. Meanwhile, the courtroom drama goes on. I believe, and I am hoping this [is the case], the girl in real life gets out of prison this year. The play landed on my desk when I was going on vacation and I read it. The script was such a page turner and kept me really focused. You know, the girl was arrested going down the jet way at O’Hare—the Feds got her there after her own father turned her in. I think people will be fascinated with this piece knowing there is a factual component. You wrap up this season with a play called Caught. Everything I tried to read about it suggests you’ve just got to get on board with it and let the story unfold. There’s no way to really describe it, you just have to ride the ride. It’s unlike anything most people have seen before—it’s a happening To talk about at it length is just to give spoilers, which won’t work. It is quite a remarkable piece which has had four or five other productions around the country. People attend the theater during their leisure time to relax and unwind. For somebody that works in the theater, what do you do to relax and unwind? I like to go to the movies. I read. I like to go to the theater—when somebody else is doing the work, I think that’s awfully fun. I did a fifteen-day Baltic cruise this Summer, I did a fifteen-day European cruise last Summer. I get to learn a lot and see various parts of the world. Now the big question: Why did you pick this time to retire? I didn’t want to do it during the 50th anniversary because I didn’t want to take the focus away. It has been a target of mine for several years. I was looking at timing. Then I thought about the life of this institution. I think in order to keep it alive and functioning, we need to change up the vision a little. There are lots of young directors out there that want a shot at running one of these institutions. I think they will bring a whole different kind of energy to this theater. There’s a year-long search that is going to go on. I don’t know who will end up getting the gig. I just thought it’s time and I wanted to be able to walk out, not get carried out. I thought the timing was right that in this time continuum I would move on. There is a great shift in my field. There’s a lot of people in my same position doing the same thing in the next two years Things are going well so that makes this a really good time. So how involved will you be with finding the next artistic director? I’m not. Not at all. There is a board search committee and consulting company, AlbertHall and Associates—they will put the person together. They need to find the person they want. I’m sure at some point I will meet the leading candidates, but this is the awesome responsibility of the Board of Directors and they need to feel comfortable with this person. If this institution is to grow, I can’t pick the person to succeed me. What words of advice would you give the person who is chosen?